Storage: Store in dry condition of normal ambient temperature. Generally made from polyurethanes, acrylics, or natural wax. 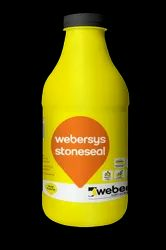 These sealers may be effective at stopping stains but, being exposed on the surface of the material, they tend to wear out relatively quickly, especially on high-traffic areas of flooring.